Beat the Heat and Rain This Summer! Have some healthy fun at Sky Zone! During the hot Tampa summer, it's practically unacceptable to exercise outdoors. Even when it's not raining, the sun is just simply too much! I have tried the gym, but running on a treadmill gets old fast. I'm also not the kind of person who wants to pay to be yelled at in an exercise class. 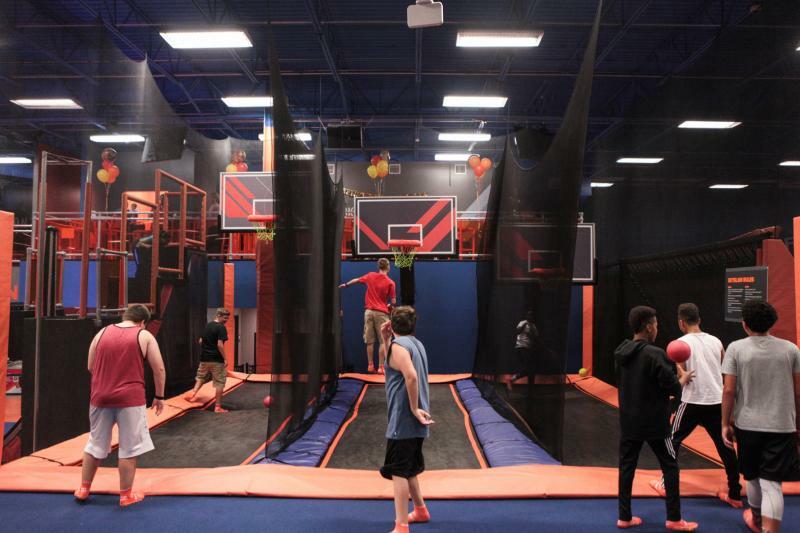 My newest solution is possibly the best means of exercise you can get today: Sky Zone Tampa. Now I know what you're thinking, “those trampoline parks are just for kids”. Not even in the slightest. And don't forget being the oldest one in the building has its perks: you can pummel some kids in trampoline dodgeball for a guaranteed win (unless you've actually been there, and seen how good these kids are at the game!). Sky Zone has become my exercise go-to this summer. It's the perfect place to go with friends to burn some calories without even noticing. 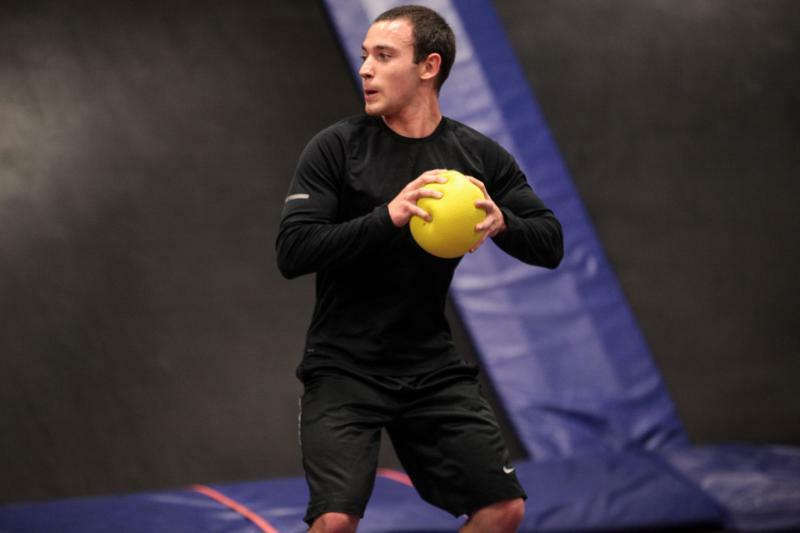 In just ten minutes the average person can burn 42 calories while trampolining. That is a definite perk, but not only are you exercising, you are having a blast while doing it! This isn’t just your normal trampoline park, as there is so much more to do than jumping up and down in place. Conquer the SkyLadder as you'd see in many amusement parks. This feat works all of your muscles; arms, legs, abs, and more for a well-rounded workout too. Next you can get your LeBron on and dunk on the lofted basketball hoops. Some say using a trampoline is to dunk is cheating, but I say they are just jealous of our talent (and hops!). Hop on over to the Foam Zone to launch yourself into the massive foam pit. This is where I try out all my fun flips and tricks, aka my cannonball, because there is a guarantee I can sprain no ankles. 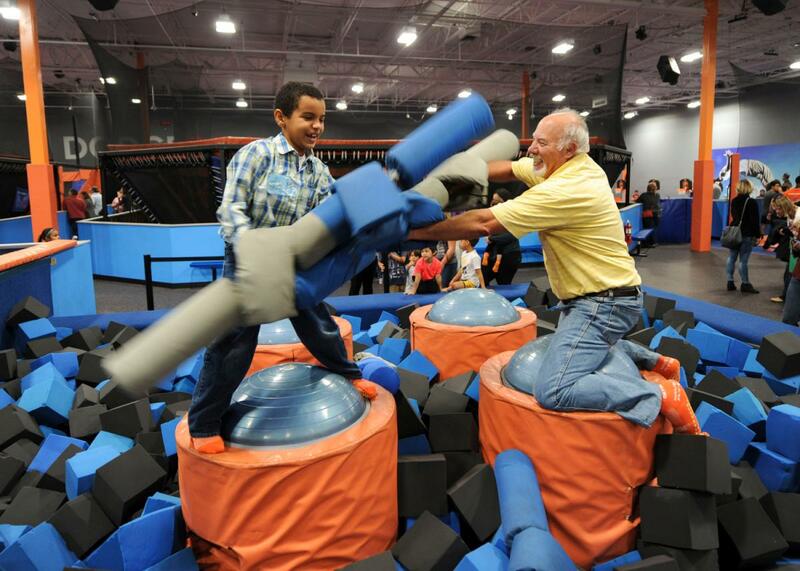 If your friends ever make you angry, Sky Zone has constructed a healthy way to take out that anger with their SkyJoust activity. Challenge your frenemy to see who really is better by standing above the foam pit and whacking each other with big foam sticks. This is truly a satisfying experience. You can even train to be America’s next Ninja Warrior with their warped walls, warrior course, and climbing wall. Now, I’m not going to pretend like I can successfully do any of these obstacles, but it is extremely fun to make a fool out of myself pretending like I can. As you can see, this is obviously a place that kids fall in love with, but I am here to prove to you that it is for all ages. Have you ever had this much fun exercising, because I know I have not. I suggest that you head over to Sky Zone if you want to actually have fun while exercising. You can feel like a kid again even if it is only for an hour or two. If you are looking for more ways to escape the heat and/or rain with plenty of things to do in Tampa, check out 813area, you free guide to everything local!